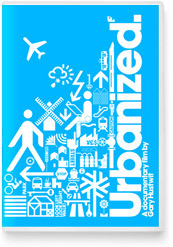 I watched a new documentary film by Gary Hustwit this weekend called Urbanized. Urbanized is a documentary about the design of cities, which looks at the issues and strategies behind urban design and features some of the world’s foremost architects, planners, policymakers, builders and thinkers. The filmmakers state that over half the world’s population now lives in an urban area and 75% will by 2050. The challenges of balancing housing, mobility, public space, civic engagement, economic development, and environmental policy are fast becoming universal concerns. With technology playing an ever increasing role in urban centers, I think this movie is relevant to how us hyperlocal technologist view cities and we can learn a lot from the “developers” who have come before us. I recommend watching the movie and I’d like to hear what you think about the movie and how technology like APIs, mobile phones and social, can play a role in urban planning of the future.